Home Tags Posts tagged with "Bradley Beal"
Wizards Headed for the Top Spot in the East? The Wizards are normally grouped in the bottom of the Eastern Conference contenders along with teams like the Philadelphia 76ers, Atlanta Hawks, and Charlotte Bobcats. However, after 44 regular-season wins and making it to the second round of the 2014 playoffs, Washington has found their way out of the bottom bin. Not only has last season been effective, but the Wizards off-season has been successful too. Although, they lost Trevor Ariza to the Houston Rockets on a 4-year, $32 million deal, they quickly found a replacement for him. Paul Pierce, a 16-year veteran, signed a two-year contract with a player option for the second season worth around $11 million. However, Pierce doesn’t fully replace Ariza’s position considering his defensive skills and athleticism does not exactly match up. But, he makes up for that with his offensive talent and wisdom of the game. Pierce is a 10-time all-star and former NBA champion. The 36 year-old has established himself as a shooter and a clutch play maker. He shot 46.9 percent from the field and 55.2 percent from behind the arch in last-second game situations last season. He can offer the young Wizard team his knowledge and insight on and off the court. The Wizards were also able to re-sign Marcin Gortat on a 5 year, $60 million deal. This was a smart move by the franchise. With Gortat, the team’s net production rate is plus 4.8 compared to minus 6.9 without him, according to NBA.com. Gortat established himself as a key factor of the team offensively and defensively last season and the organization recognized that. Both Pierce and Gortat will play very important roles on this team in the upcoming season. But, two players who have opened some eyes and have been leading the Wizards during the summer league in Las Vegas are Glen Rice Jr. and Otto Porter. These two perimeter players both earned First Team honors in Vegas. Rice received MVP of the Samsung NBA Summer League after averaging 25 points, 7.8 rebounds and 2.5 steals per game. He led his team to a 5-1 record at the event. Porter was right behind him finishing with an average of 19 points and 5.8 rebounds. Both of these sophomore players are looking to potentially have a breakthrough year and that is exactly what the team needs from them. Even though the Wizards won’t exactly be leaning on the two to close out games, they offer depth and production, which will definitely help in their journey to a championship. 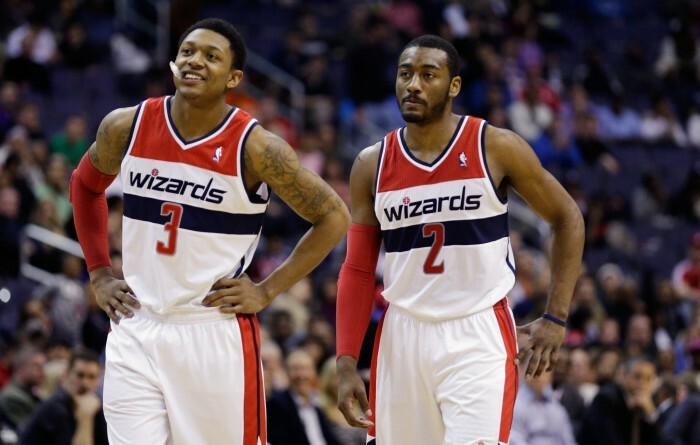 Two players that the organization does depend on heavily are the up-and-coming dynamic duo, John Wall and Bradley Beal. Last season Wall shot a career high 35.1 percent from the three and led the team in points (19.3) and assists (8.8). Only he, Chris Paul, and Steph Curry averaged 19 plus points and eight plus assists last year. He’s grown and developed into the leader the Wizards always knew he had the potential to be. Beal also made a statement on the court last season. Aside from being Wall’s partner in crime in the backcourt, he set some of his own records too. He was one of 10 players in the league to average at least 17 points and three assists while converting 130 plus threes, according to basketball-reference.com. At just 21 year’s old, he’s had an arguably impressive NBA career and has the potential to become so much better. All of these essential players are just the main components of the building of the Wizards team. They also have acquired versatile players like Kris Humphries and DeJuan Blair. Humphries will be a good look down low for rebounds while Blair adds to the depth aspect of the team. And we certainly cannot forget about key post player Nene. Although he missed 77 games over the last three seasons, when he is on the court he is an important piece of the Washington puzzle. As long as he can avoid injuries, he will be a significant player in the frontcourt. The Wizards are certainly not the only team making vital moves this summer. But it’s safe to say the Eastern Conference’s top seat is open and the wizards are setting themselves up to make a serious effort in the reach towards the number one spot. 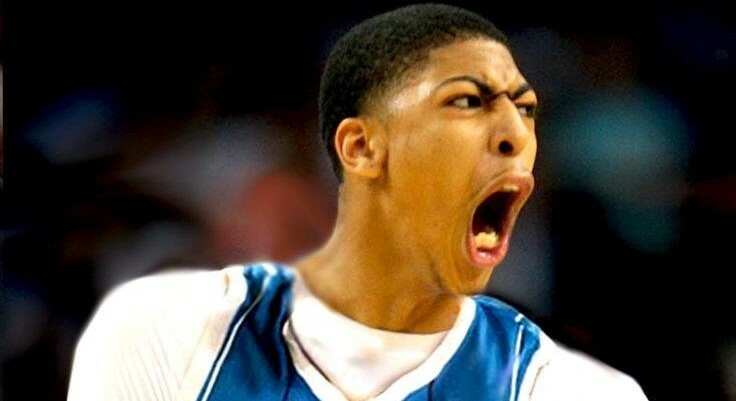 Now that the NBA Draft is over, its time to give a rapid reaction to what we just witnessed. 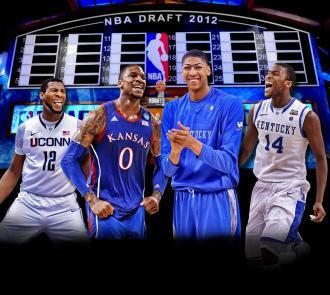 It’s that time again NBA fans, where we once again see which team will help themselves the most via the NBA Draft. All the scouting of college players,European Stars or D-League talent will be under review on June 28th at 7pm (est) in the Prudential Center.